The Wasp Time v3 is an essential tool for managing labor resources. It tracks employees' time and provides a daily reconciliation of time records. This out-of-the-box system tracks time, attendance, jobs and departments through network compatible software. This data can later be exported into your payroll software system and can also be used to generate different management reports. The system comes ready to support 25 employees and can be upgraded anytime to support your growing company needs. 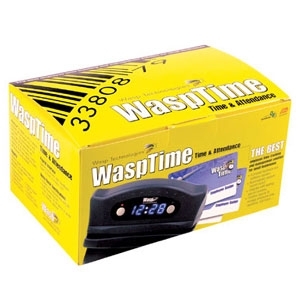 Wasp Time v3 also works with time clocks or finger print readers.